Import - ASIA Vehicles from Japanese, Korean, Chinese(?) manufacturers go here. 1986 base model Mazda RX-7 with complete driveline, suspension and sub frame swap from a turbo II. Car is not currently running. This is my old project car that I will probably never finish and I need to let it go. I got the car put together and running but I never was able to get the tuning worked out and I could not afford to send it to a tuner, so I let it sit. I was planning on getting it running then trying to sell it, but I have had it sitting in my new place for a few months now, and I have not touched it. So I’m posting it for sale as a non-running car. If I suddenly find the time to mess with it I might try to get it running. I have tried to sell this car a couple of times in the past but became frustrated and gave up because I was 2 hours away from where the car was located and I was tired of wasting 4 hours on the road to talk to somebody that ended up being a tire kicker. 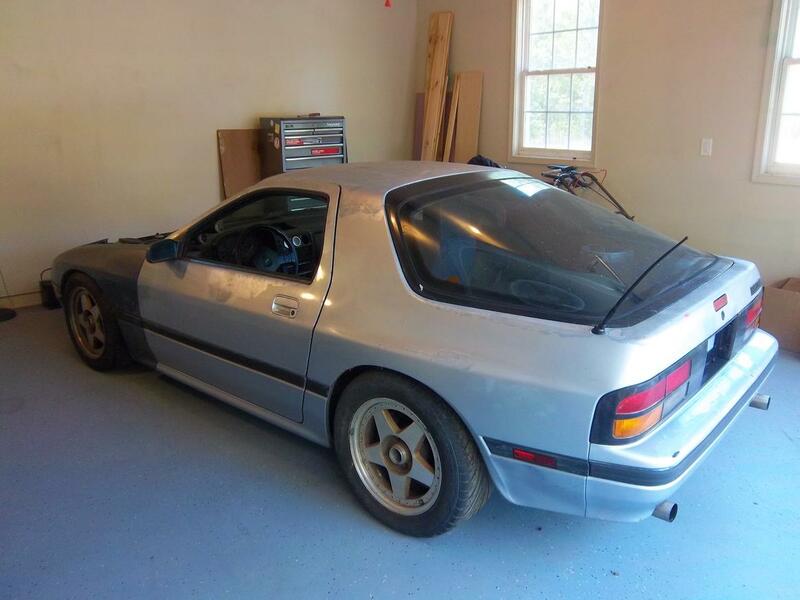 1986 Mazda Rx-7 FC body 13b 5 speed - low ballers welcome! 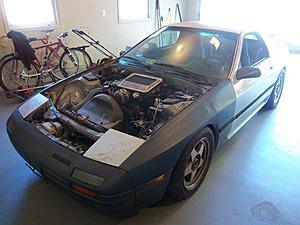 1986 Mazda RX-7 - V8 Swap maybe?